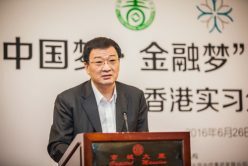 On 26 June 2016, the “National Youth Summit for Future Leaders in Finance”, co-organized by All-China Financial Youth Federation and Y Society, was held in Capital Mansion, CITIC Group Corporation. Some highly distinguished speakers, including Mr GUO Li-gen (Vice Chairman of China Banking Regulatory Commission), Mr John Tsang (Financial Secretary of HKSAR Government), QIU Hong (Deputy Director of Liaison Office of the Central People’s Government in HKSAR), FU Zhen-bang (Representative of All-China Youth Federation), CHANG Zhen-ming (Chairman of CITIC Group) and JU Wei-min (Executive Vice President of China Investment Corporation) to share their insight into the development of financial industry. 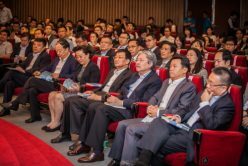 Attendants included representatives of All-China Youth Federation, Y Society, Peking University and Tsinghua University and staff of CITIC Group Corporation respectively. The Summit divided into two parts. First, leading figures would go onstage to give a speech. Second, 8 distinguished guests would share their insight and forecast regarding marks in China and that in the globe, which was followed by students’ questions to guests. 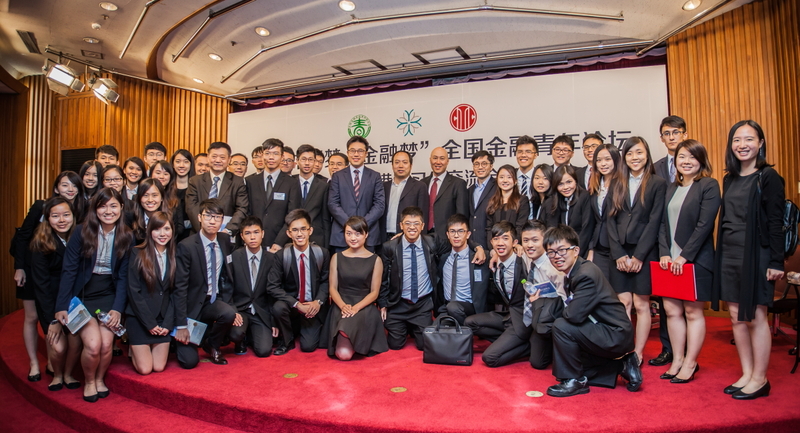 All great figures in finance here all expressed their willingness to promote the mutual understanding between youths in both Mainland and Hong Kong. 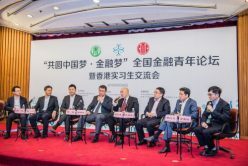 Regarding the unique competitive advantages of Hong Kong in terms of well-established financial market, the comprehensive legal system, and the professionalism, they deemed that Hong Kong would play a very important role in the One Belt One Road policy and in the facilitation of Mainland industrial transformation. Hong Kong should not miss the opportunity to collaborate with the Mainland in a complementary manner. 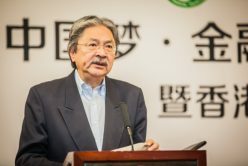 Indeed, as our Financial Secretary John Tsang pointed out, Hong Kong and Mainland were now inextricably linked and more and more students in Hong Kong started exploring opportunities in Mainland, he on behalf of the government promised to invest more in different exchange and internship programmes with Mainland, so as to facilitate youths’ understanding in the operation of both Mainland and Hong Kong markets. With the booming development in Mainland, it would serve as a good foundation for maintaining the sustainability of financial service development in Hong Kong. At the end of the first part of the summit, Mr GUO Hong and Mr Shannon Cheung representing respectively All-China Financial Youth Federation and Y Society signed a strategic cooperation framework agreement for young talents, which would effectively promote their exchange, and strengthen youth in Hong Kong to have long-term strategic development with regard to the booming economy in Mainland. In the second part of the summit, a salon was held, in which 8 invited guests gave their insights into the effect of Brexit on global economy and China market, a timely topic that was beneficial to all students. Inspired by guests’ expertise and foresight, in the question and answer session students were very eager to raise questions, in a hope of knowing more about guests’ unique perspectives in financial market. After the salon, students all acted pro-actively to chat with guests, and the summit ended in a warm applause.